From humble beginnings, ECMStaffing started as a business partnership between six family members and one outside investor. Over time, four of the founding partners and the single outside investor exited the Company to pursue other business ventures, career opportunities, and life goals. Today, two of the seven original partners remain, managing and overseeing the daily operations of ECMStaffing. Founded in Tacoma, Washington, Emerald City Medical Staffing, Inc (ECMStaffing) provides Nurse and Allied Healthcare Professionals with per diem, local and travel contract assignments at facilities located throughout Washington, Oregon, Alaska, Montana, Idaho, Nevada and Arizona. ECMStaffing currently employs a wide variety of Registered Nurses (including most specialties), Licensed Practical Nurses, Certified Nurse Assistants, Surgical Techs, Radiology Techs, Respiratory Techs, and other Allied Healthcare Professionals. And other business organizations that require Nursing or Allied Healthcare Professional services on a contingent or temporary basis. 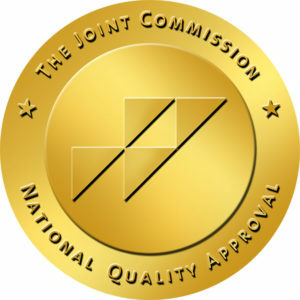 ECMStaffing is Certified as a Healthcare Staffing Agency by the Joint Commission (JCAHO). ECMStaffing is Certified as a Minority and Women’s Owned Business for the State Program by the Washington State Office of Minority and Women’s Business Enterprises (OMWBE). "Emerald City Medical Staffing is a great company to work for. Great staff to deal with. Great pay. Flexible schedules. Best staffing company I have worked for. I Highly recommend them!" © 2019 - ECMStaffing | Site Design & Development by SiteCrafting.